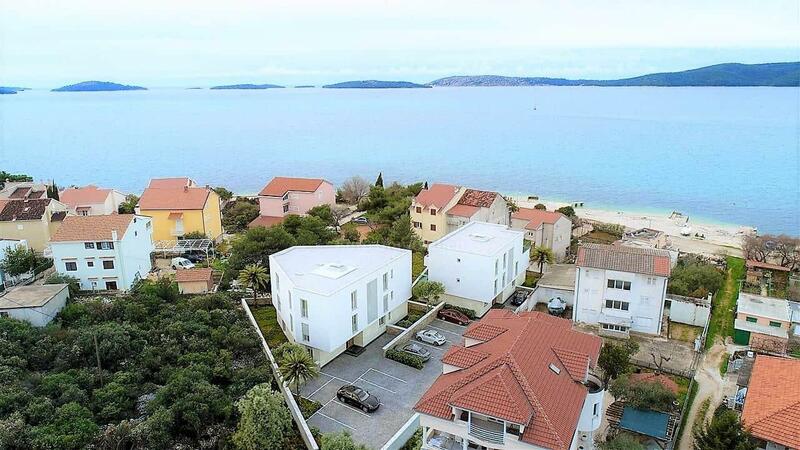 On a nice location in the vicinity of Sibenik, 100 m from the sea for sale is apartment in new building. The apartment is located on the ground floor of an apartment building, has an area of 55.96 sqm, has a garden of 49.65 sqm and a parking place on the plot. It consists of an open space that combines living room, kitchen and dining room, bathroom, bedroom and covered terrace. 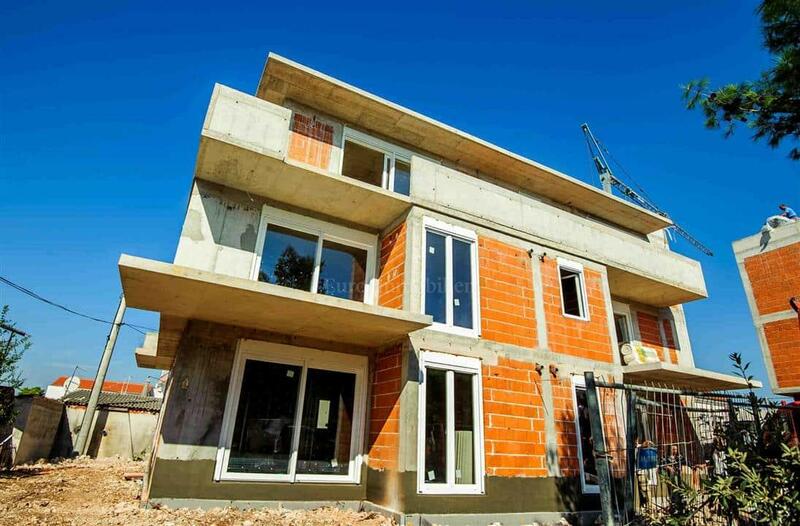 High standards of construction and equipment include aluminum joinery, anti-theft door, underfloor heating in the bathroom, air conditioning and parquet flooring in the bedroom. The property is situated on a location that is ideal for staying throughout the year. Spacious apartment on the first floor with roof terrace, new building!